In 1995, authors, experts and influencers sold $10 million worth of eBooks through Amazon. 18 years later that number has grown to $1.6 billion. As sales volume grew, authors began looking for new ways to sell their content without relying on the iron fist of Amazon as evidenced by the Hatchett vs. Amazon feud of 2014. Influencers, experts and authors are becoming more savvy with online marketing and have built their own email lists, Facebook fan pages and Twitter accounts. They felt they needed to get more control. This provides the online distribution that gives you the control without just relying on Amazon or other paid media and platforms. But the biggest challenge for marketers is not just building a tribe on social networks and growing an email list but converting that traffic and attention into real revenue that is measurable. 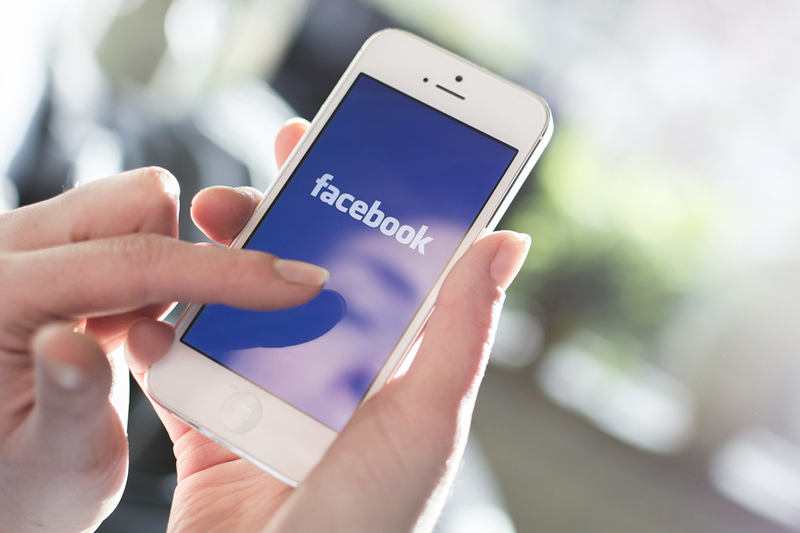 Want to sell your products on Facebook? There is now a new tool that helps you gain more control by turning your comments into sales using Facebook. You can sell or presell your digital products such as ebooks by using a new tool. This is the Heyo Cart (heyocart.com). Heyo Cart allows authors, experts and influencers to sell to their Facebook fans by asking their fans to simply comment “buy” to purchase. 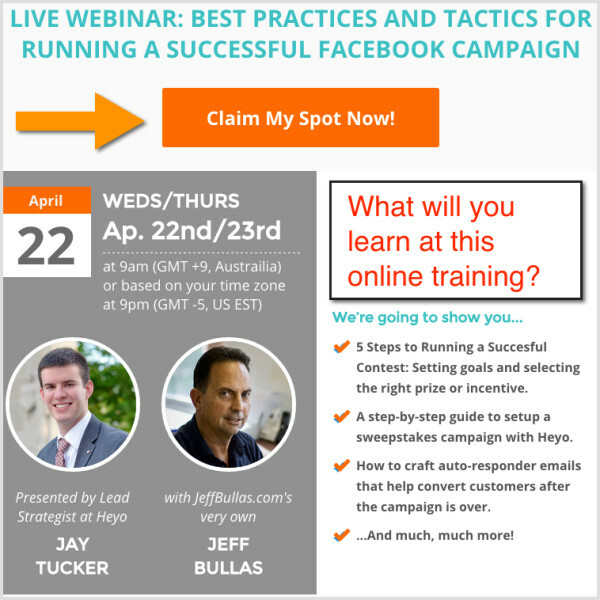 How are some of the experts using this Facebook tool? Best selling authors like Kim Garst, influencers like Cindy Ratzlaff and experts like Carrie Wilkerson are converting Facebook fans to buyers using Heyo Cart. 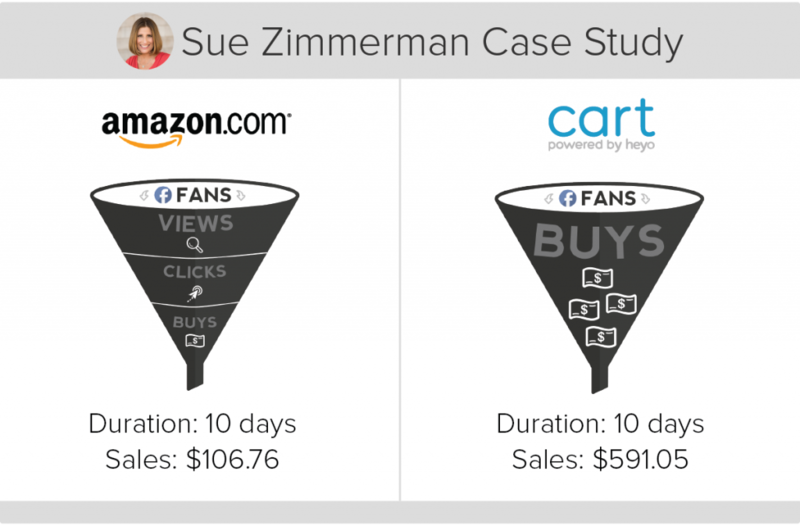 In a recent A/B test conducted by author and info-marketer Sue Zimmerman, Amazon and Heyo Cart were both put to the test. Sue posted her latest eBook for sale on Amazon and also to her Facebook page using Heyo Cart to see which would drive more sales. On Amazon, Sue sold 15 copies, earning her $106.76 over the first 10 days. Using Heyo Cart, Sue posted on Facebook and sold 95 copies, earning her $591.05 in the first 10 days. Sue was also able to capture her new buyers’ information through the Heyo Cart reporting dashboard. What’s the best price point? According to internal data from heyocart.com gathered in Q1 of 2015, the best price point for authors and influencers to sell eBooks and other digital content on Facebook is $9.00. This was based on a sample size of product prices shown to one million people who are fans of authors’ and experts’ Facebook pages. If he’s right, Heyo Cart might be the next Amazon for authors, experts and influencers.